People depend on all sorts of professionals; doctors, solicitors, architects, nurses, teachers, dentists, accountants, and so on. The essential core of the public’s relationship with any type of professional advisor has to be trust. People need to be sure that these specialists know what they are doing. They certainly don’t expect them to be incompetent or to cause harm. This means that the underlying assumption, no matter what the area of expertise, is that professionals are properly trained and qualified. Usually this means that professional-level service providers have undergone a recognised program of higher education. High-level professionals normally have graduate and postgraduate level qualifications in their chosen fields. Even many of the intermediate-level professions, such as paramedics, police officers, journalists, etc. are rapidly moving towards becoming graduate-level occupations. In all of the professions that I have mentioned so far, and in the many, many, others that I could have included, professional training is usually a two-stage process. Very often, but not always, these two stages are undertaken in parallel. One stage requires the trainees to study for an appropriate academic degree. The other stage involves these novice professionals in completing a program of supervised, ‘on the job’, practical training. Finally, when a trainee has met the relevant regulatory body’s requirements, then some sort of entry-level professional status is conferred. However, this is not the end of the training process. These days, training is often a life-long process. Many practitioners are required to keep themselves up to date by engaging in professional development training throughout their careers. Any practitioners who fail to keep themselves up to date risk being sanctioned or even disbarred. In addition, those who wish to advance their professional status will take further formal training, usually at postgraduate level or beyond. If these standards apply to all the other professions, why should professional counsellors and psychotherapists be any different. Shouldn’t they too be qualified to the same high standards? After all, allowing someone to play around with your psyche, to tinker with your very sense of ‘being’, is pretty heavy stuff. These psychological ‘mind mechanics’ really had better know what they are doing. Sadly, expectation that the public have that counsellors and psychotherapists are trained to the same standards and educational levels as the other professions is far from being met. All too many therapists have little more than an A-level equivalent Professional Diploma, and a significant number do not even have that. I say that it’s time that the counselling and psychotherapy profession upped its game. It’s what the public deserve; it’s what our profession needs if it wants the respect of the other high-level callings. In order to achieve this, it is essential that our current training programs are revised and significantly upgraded to ensure that all counsellors and psychotherapists have reached a proper professional level. The improved training programs should include a comprehensive overview of the theory and the practice of counselling and psychotherapy. In addition, trainees should be required to demonstrate an ability to engage in reflective and critical thinking, to show that they have an understanding of research and research methodology, and to exhibit a sound grasp of ethics. They also need to acquire the consulting room skills that will enable them to be effective with their clients. How could all this be achieved? The essential first step is to do away with what I call ‘Schoolism’. I use this phrase to describe the various single models or ‘Schools’ of therapy offered by many of today’s practitioners. The Schoolists mostly believe that their chosen type of therapy is the answer to everything, a sort of universal ‘cure-all’. What rubbish! Would you go to a doctor who only ever prescribed one type of medicine no matter what was wrong with you? Of course not! Therefore, I would argue that trainee counsellors and psychotherapists should be taught about all the main models, (Schools), of therapy and shown how to integrate and deliver them, in part or in whole, according to the needs of each individual patient. The next essential step is to require all therapists to obtain an honours degree, (or its equivalent), as an essential entry-level qualification. If gaining such a degree were an obligatory first professional step, then it would be reasonable to expect that a newly qualified practitioner’s eventual entry into any therapy’s Specialisms or Advanced Practice areas would require postgraduate education. 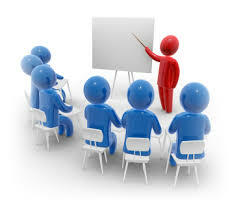 Of course, in parallel with any of these taught elements in their professional education, trainees would also have to undergo practical, hands-on, training in related client work under the supervision of suitably qualified and experienced practice teachers. The third and final essential step will be setting up mandatory post-qualification professional development programs. For the newly qualified this would entail working under the supervision of a professional mentor for a certain period of time. 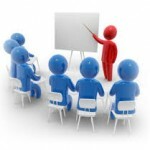 For the more experienced this would involve keeping up to date by attending approved further training programs. Obviously, by arguing for such a fundamental upgrading of therapist training I will probably be accused of wanting a radical, root and branch, shake-up of the counselling and psychotherapy profession, its practitioners, its trainers, and its therapist education policies. Well of course I do. I want today’s counsellors and psychotherapists to be trained to do their jobs properly – doesn’t everybody?